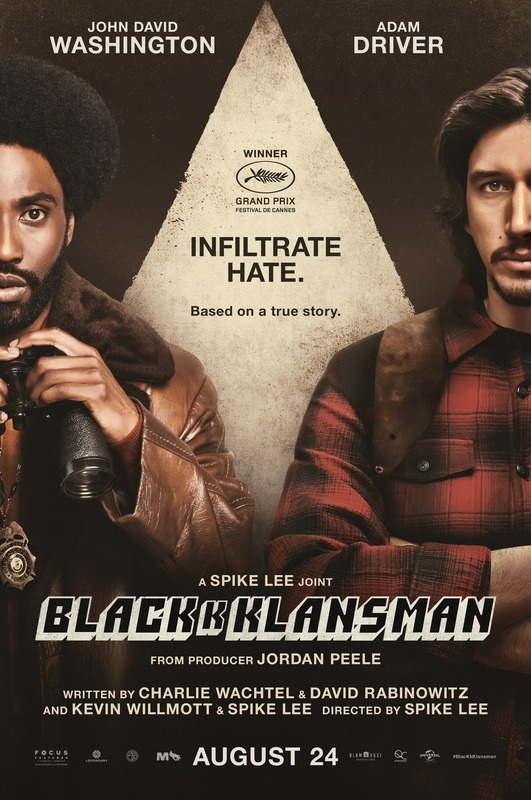 Spike Lee’s newest film, BlacKkKlansmen, is a retelling of the events that happened in the 1970’s revolving around Ron Stallworth infiltrating the Ku Klux Klan. Stallworth, played by John David Washington, is the first black police officer in Colorado Springs. While Stallworth is himself is on the phone with the Klansmen, he enlists the help of his white coworker Flip Zimmerman (played by Adam Driver), to play the part of Stallworth in person with the Klansmen. This film is not only a humorous retelling of how Stallworth made his way through the Klan right under their nose, but it is also no stranger to letting us know that there are still traces of racism in our country today. The film hones in on a story that happened in the 70’s while still saving room for discussion about patterns seen in our country in the past few years. Lee really hit it out of the park by subtly letting the viewer know that while the 70’s were nearly 50 years ago, we still have a very far way to go in our country in regards to race. One complaint about the film is that the plot gets somewhat dry near the end. The underlying themes and messages Lee was trying to convey started to be more interesting than what was actually going on in the last 20 minutes of the film.